You will find 188 holiday parks in Italy with static caravans, park homes and lodges to rent. There are many types of holiday parcs in Italy. Our directory includes parks with diverse locations and facilities. If you are looking for parks in forests, near lakes or on elsewhere in Italy then there are many parks to choose from. There are quiet holiday parks in Italy, small parks with a few facilities to bigger holiday parks offering a wide range of activities and something for the whole family. Pra Delle Torri - Eurocamp is located in the Adriatic Coast area of Italy. With its superb pool complex and wide range of activities, there's always something to do here. The pool complex at Pra Delle Torri is definitely one of the most spectacular in Europe, with a first class array of swimming pools, waterslides and children's pools. 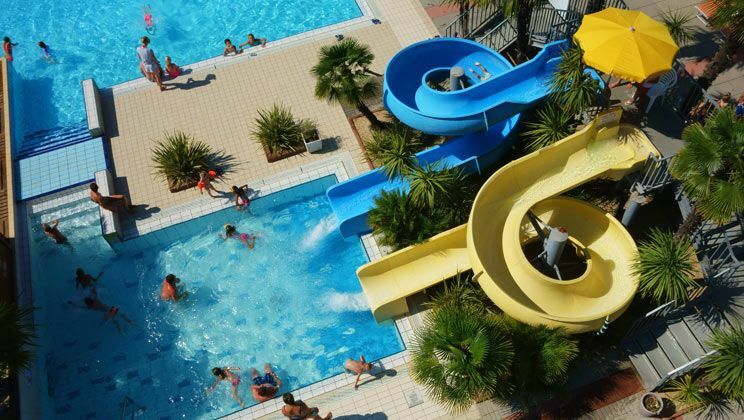 View holiday parks in the Adriatic Coast area. Spiaggia E Mare is located in the Adriatic Coast area of Italy. Spiaggia e Mare has an enviable position on a private sandy beach on the Adriatic Coast. The Park also has its own attractive pool to lounge next to and relax. Spiaggia e Mare is an attractive park which is proudly looked after by its owners who insure it is immaculate and well run. Portofelice Camping Village is located in the Adriatic area of Italy. View holiday parks in the Adriatic area. Park Albatros is located in the Tuscany area of Italy. Surrounded by fragrant pines and close to a perfect beach, the parc also offers a host of activities. Hidden behind pine forest lies Park Albatros, one of Tuscany's largest parcs. 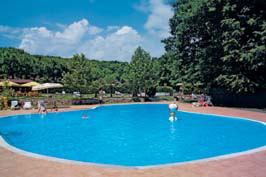 View holiday parks in the Tuscany area. Family Park I Pini is located in the Lazio area of Italy. Surrounded by the green, rolling hills of Umbria, this is a gorgeous parc with excellent facilities. 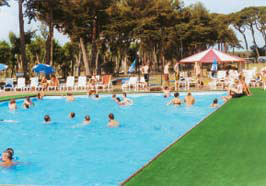 I Pini is an ideal parc for either relaxing by the pool, or for using as a base to visit Rome. 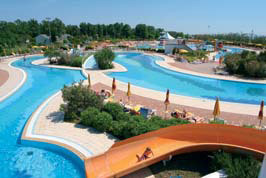 View holiday parks in the Lazio area.